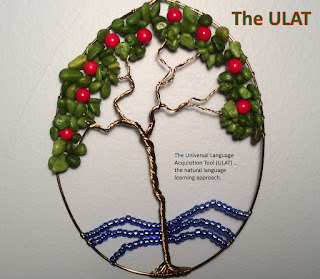 The surprisingly low-cost Universal Language Acquisition Tool (ULAT), located at www.theulat.com, produces equally surprising high-level results thanks to its adherence to the Natural Language Acquisition Sequence. Until January 31, free access is available to the ULAT's entire first year Spanish and French courses to enable both schools and homeschooling families to evaluate the program's suitability for their use. These courses include lessons, hundreds of videos, daily lesson plans, tests, and answer and grading keys - with an annual subscription of just $35 per homeschooling family. Check out the QUESTIONS section of the ULAT website for a quick synopsis as to what the ULAT is all about.